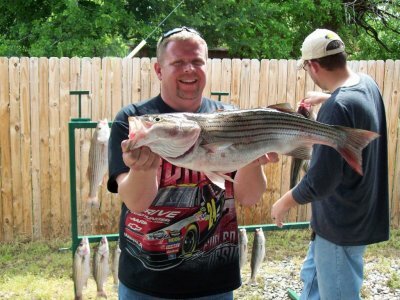 Anchor fishing can be fast and furious but I’ve started doing a little more drifting because we’re starting to see small schools of good stripers working the surface and you can’t waste any time getting to them. They will work the surface for short amount of time and then they’re gone. For the topwater action soft plastics swim baits 1oz sassy shad and cojo minnows have worked well for me. Cast into the action, rod tip up a good steady retrieve and hold on. Although I haven’t seen too many double digit fish in the past couple weeks were still catching the good sized male fish and should see the larger females back from the spawn shortly. 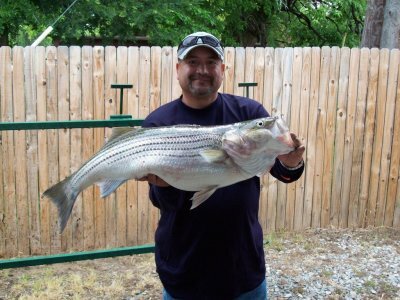 So if you’re thinking about trying out some of Lake Texoma striper fishing the next couple months should be outstanding from what we are seeing now. 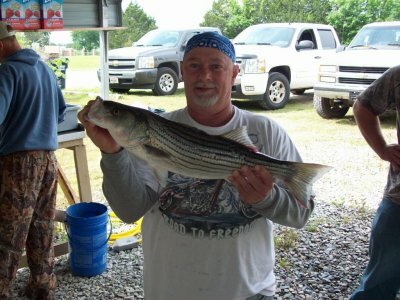 Dates are booking fast so make your plans now to assure that you get your special day of striper fishing on Beautiful Lake Texoma.